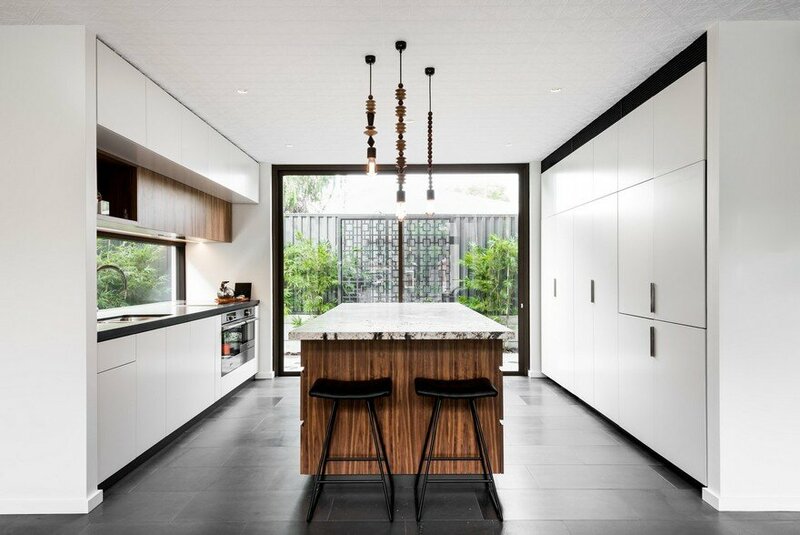 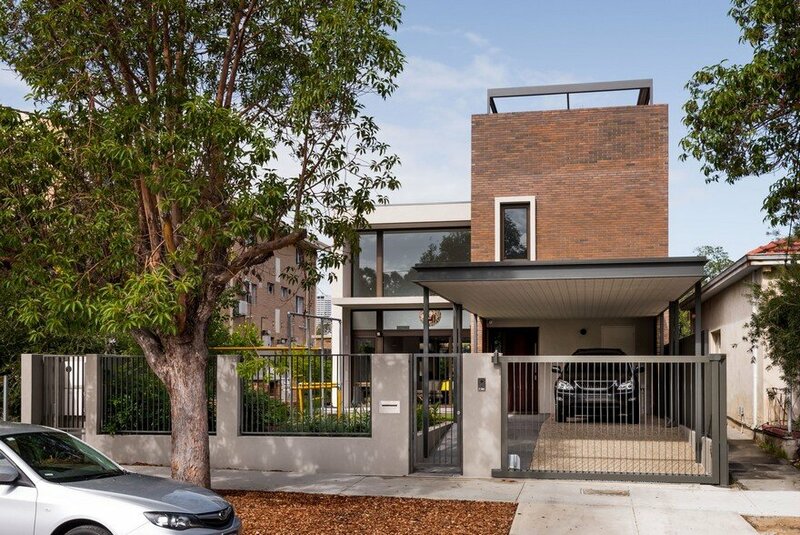 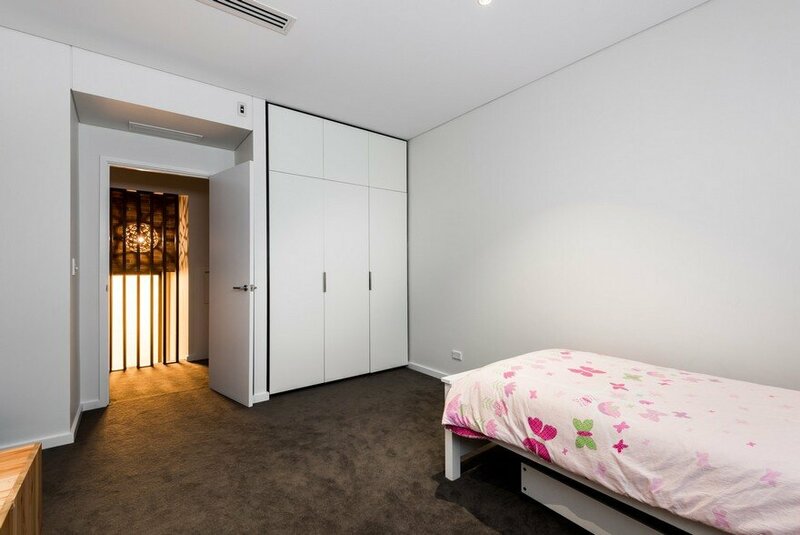 The projects sees the development of an inner city block to create a 4 bedroom, 3 ½ bathroom home for a young urban family. 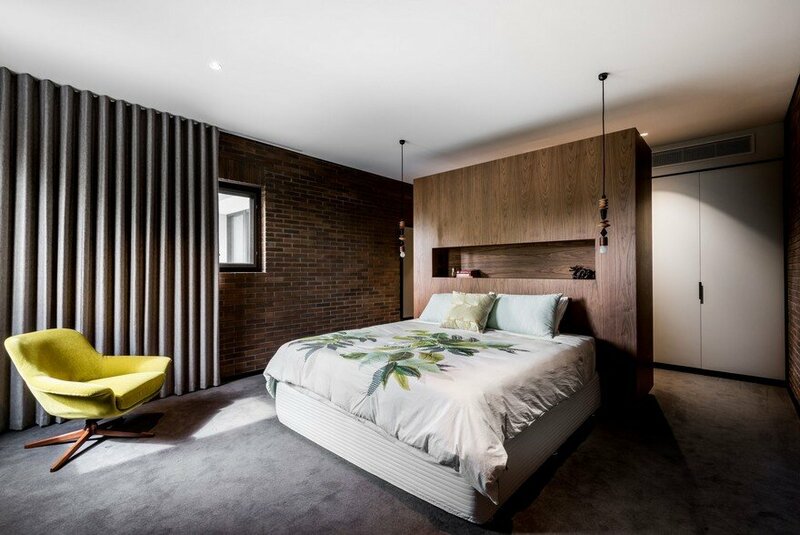 The texture and warmth of the bold masonry bedroom wing is a reference to the industrial and urban site context. 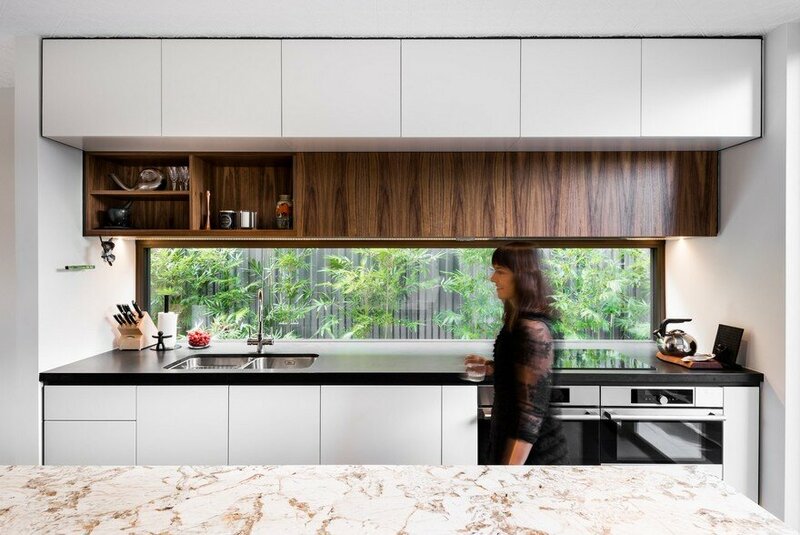 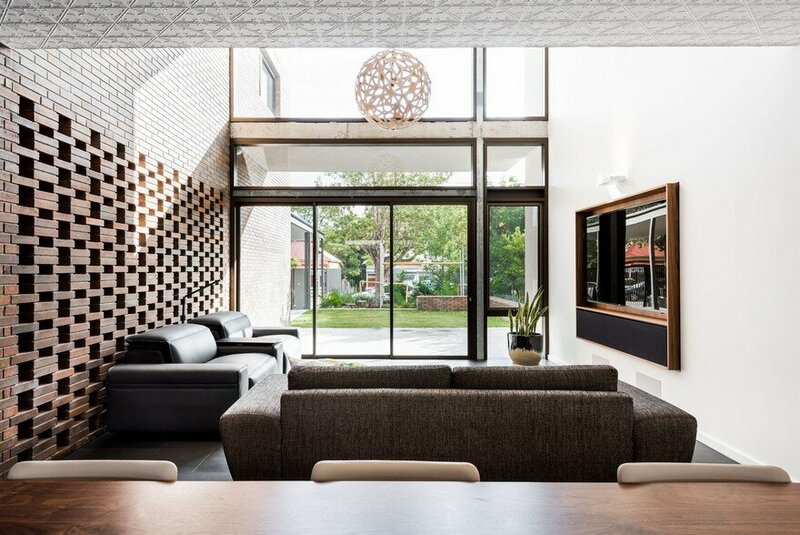 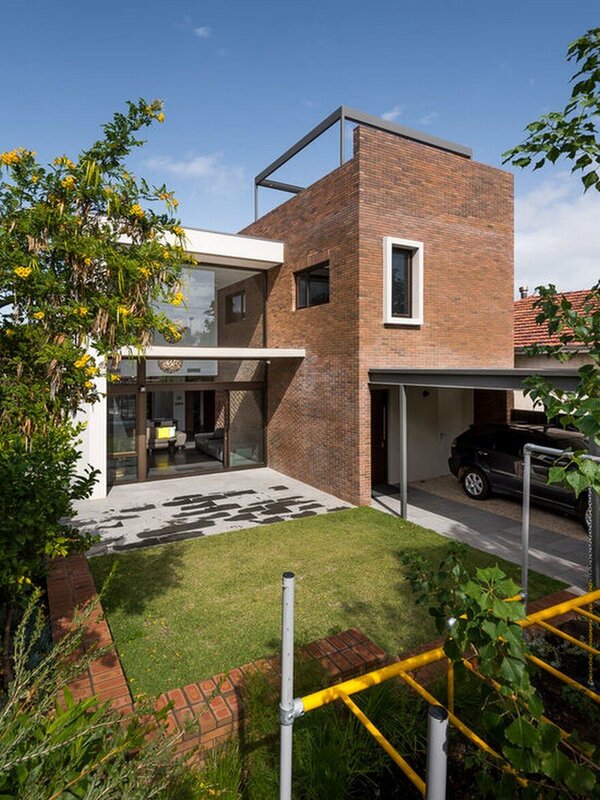 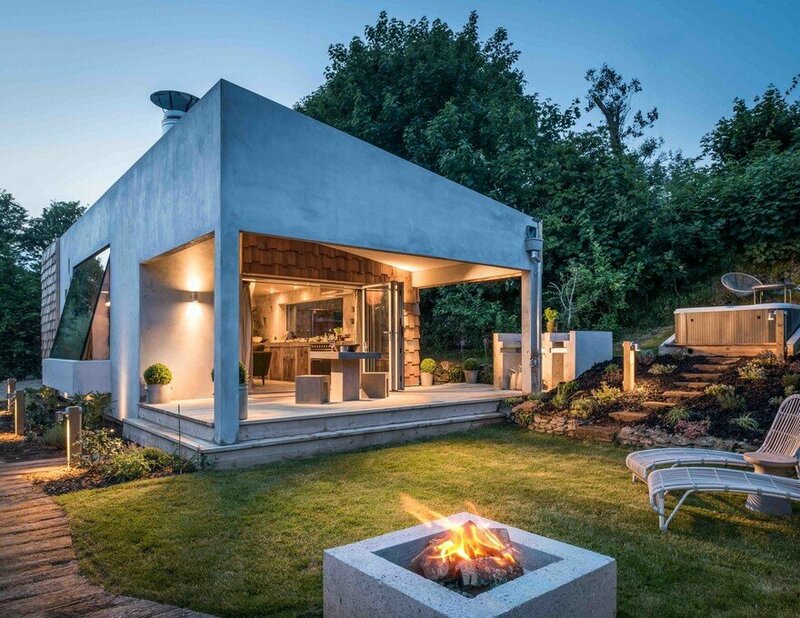 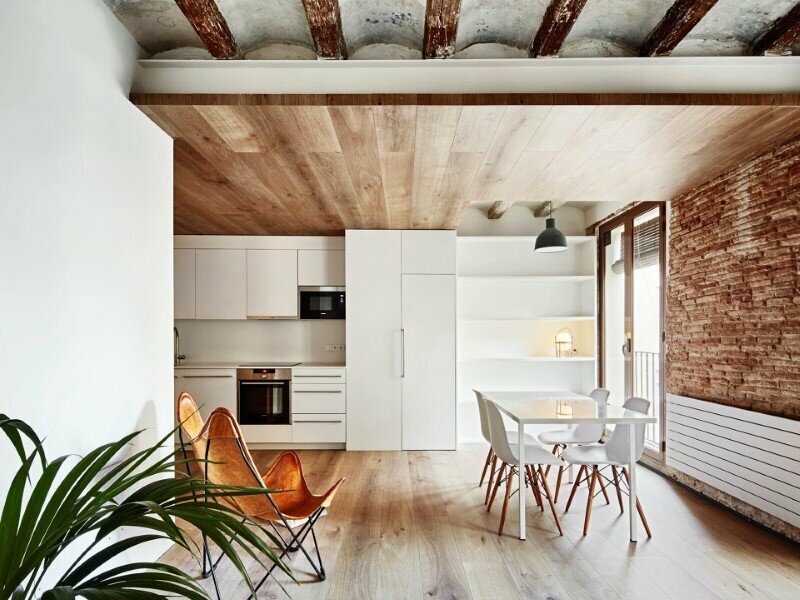 A contrast is developed between the open and glazed living spaces with the dark and brooding masonry box. 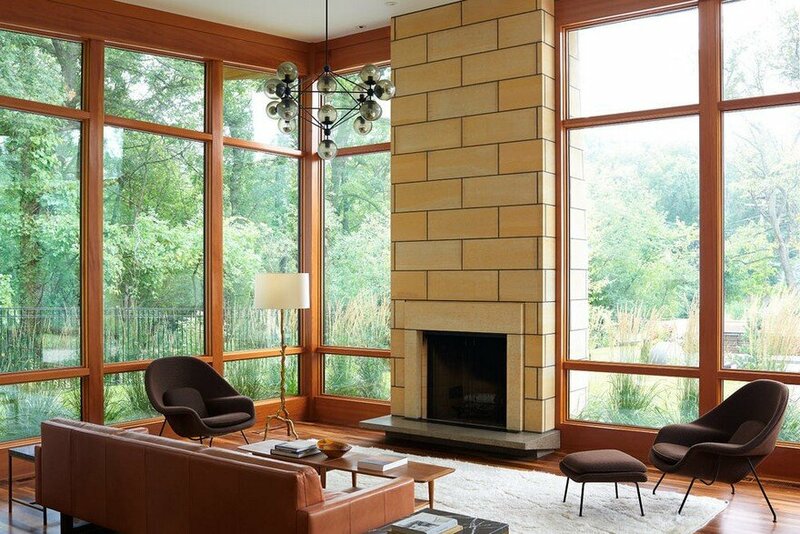 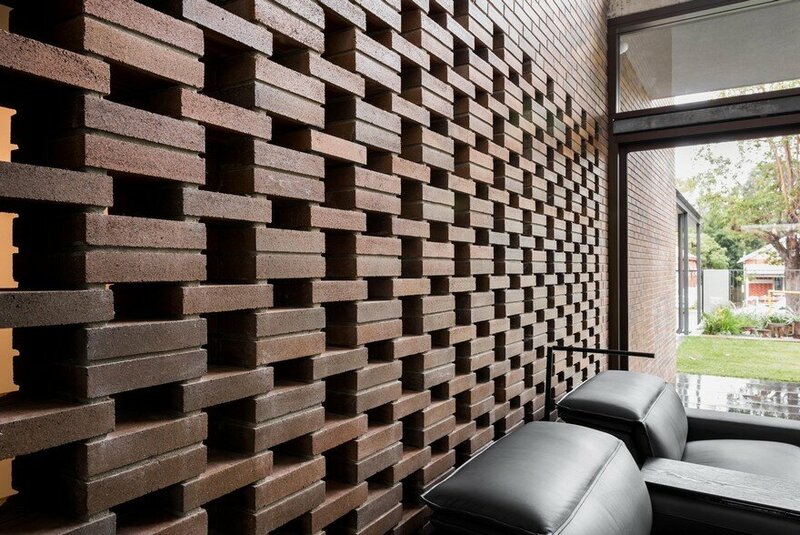 The form of the masonry box is broken at the entry to allow filtered views from the entry to the living spaces. 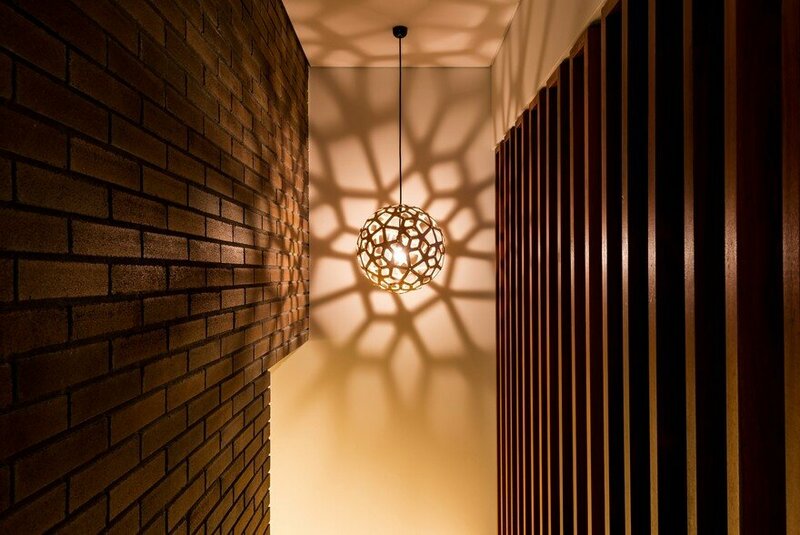 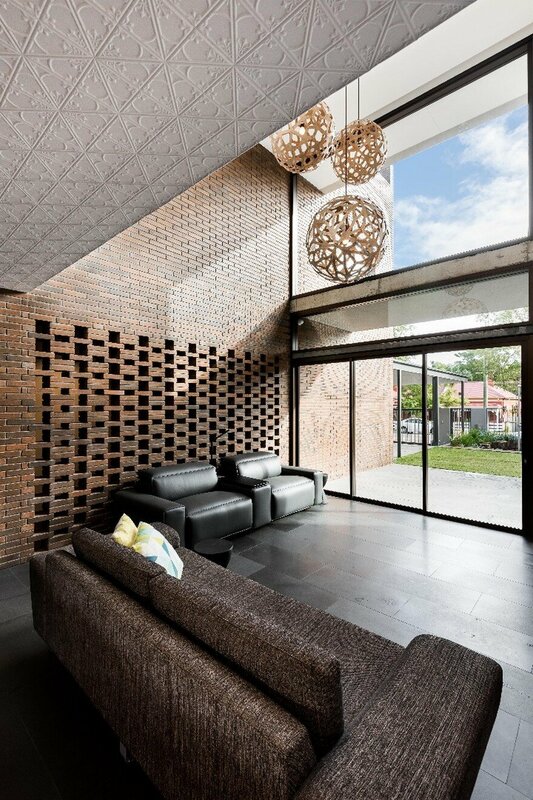 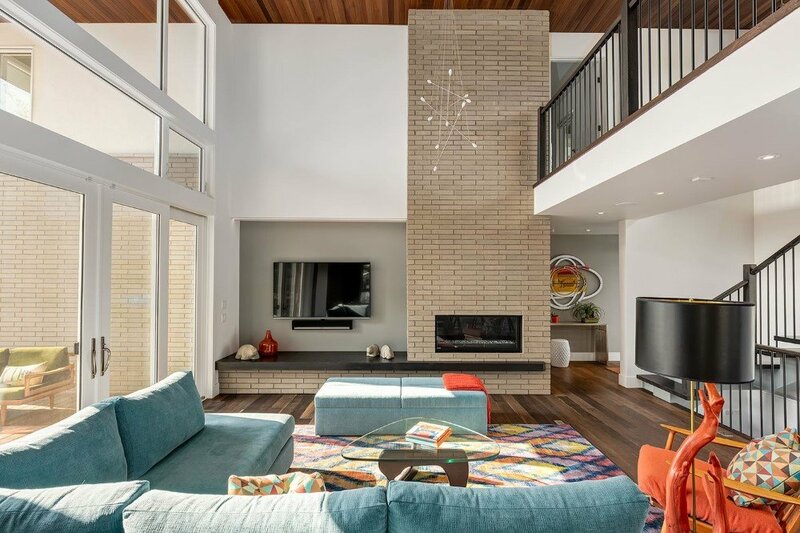 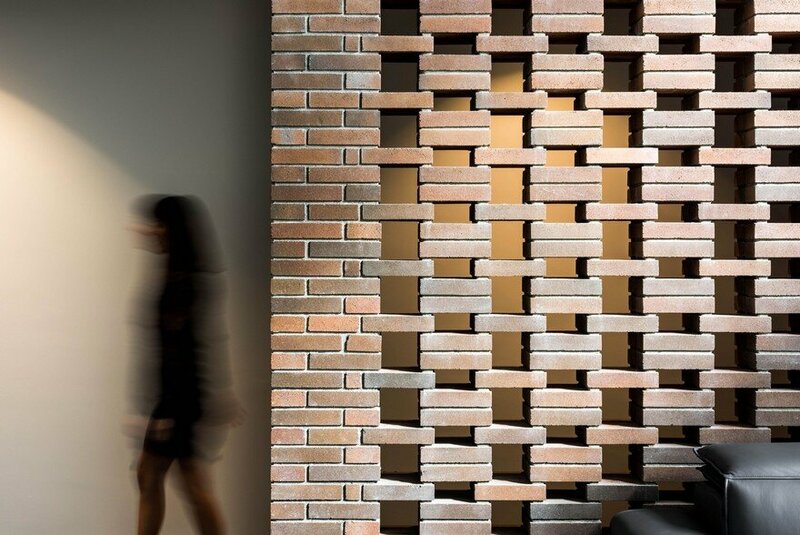 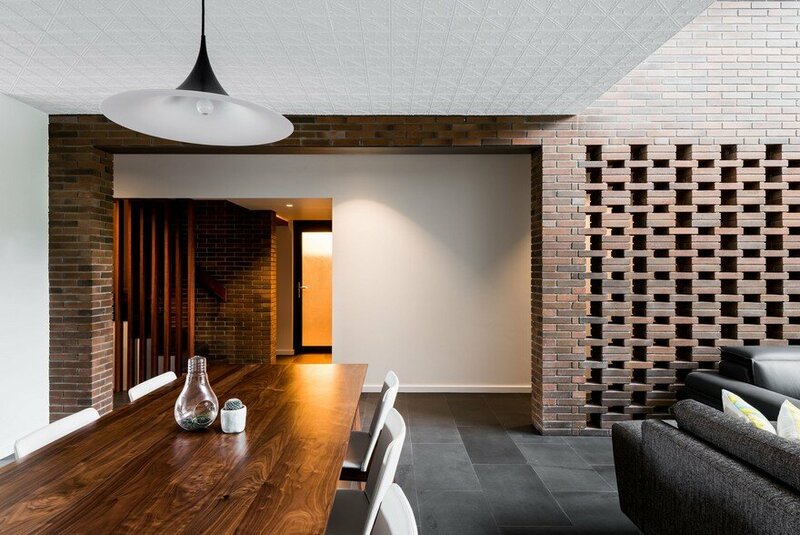 Which creates a beautiful breezeway element which is a centrepiece of the brick home. 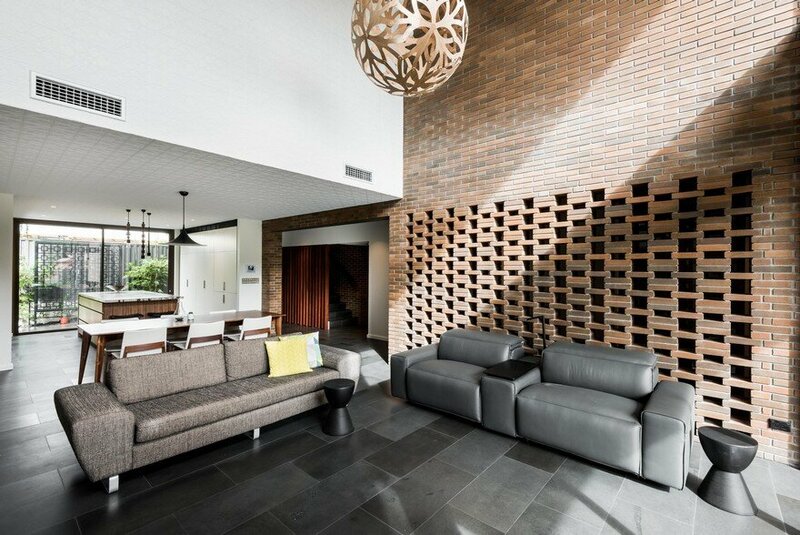 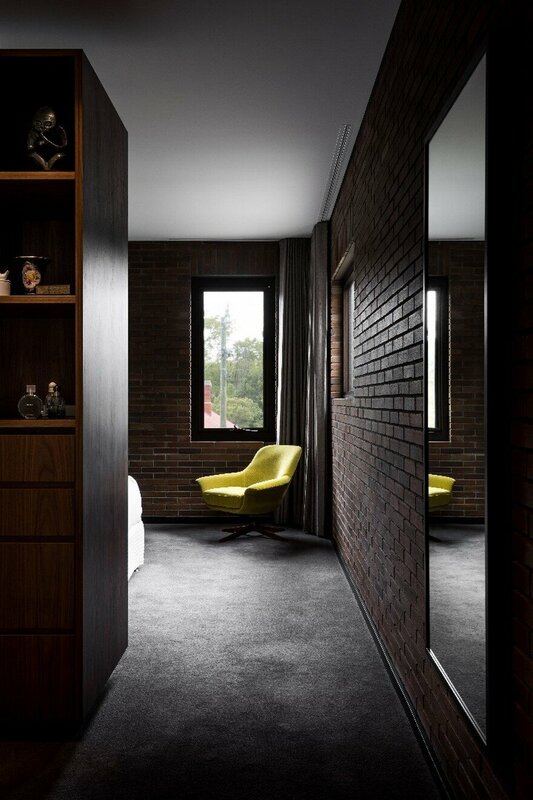 The walls internally continue the face brick which creates a dark textured backdrop to the master suite. 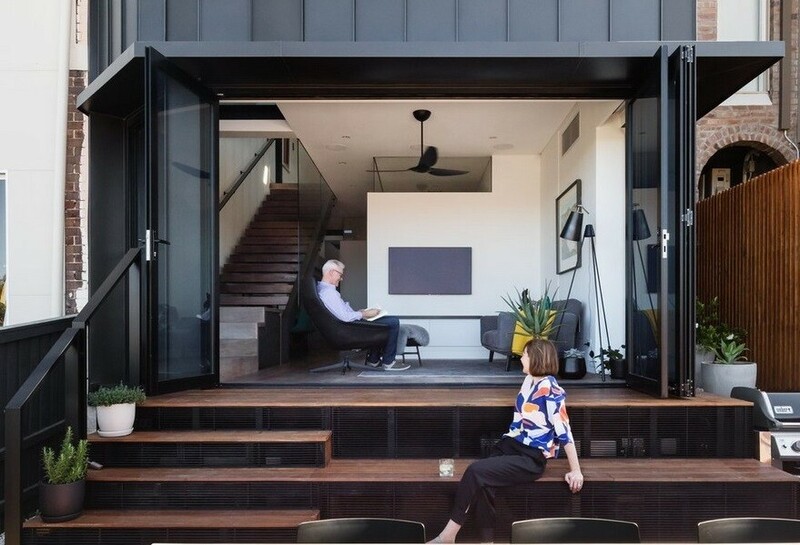 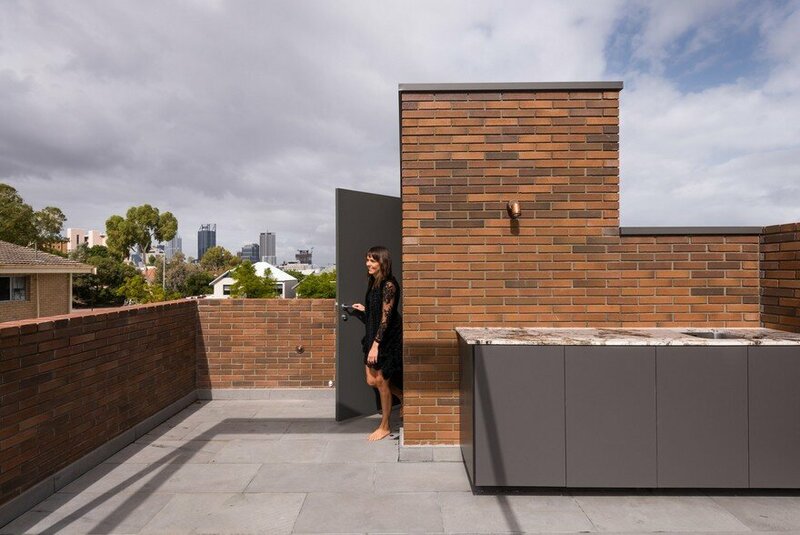 This dark masonry box continues up to a roof deck with city and urban views. 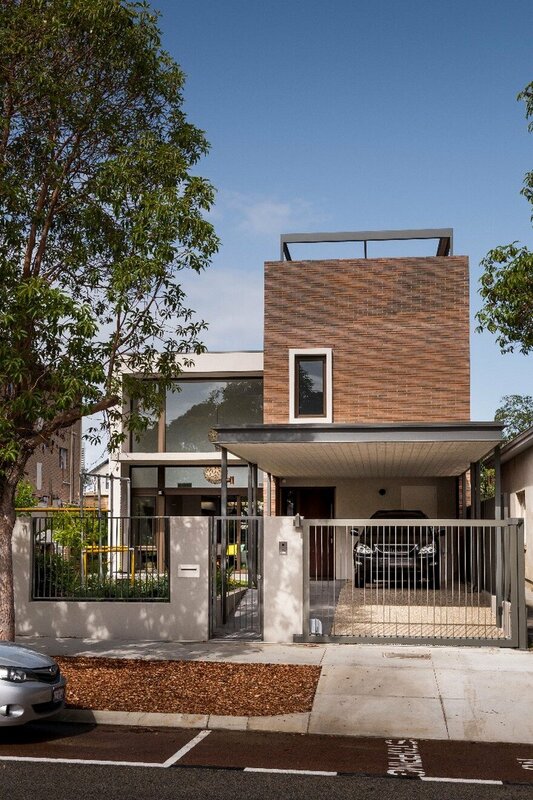 A sculptural stair form also continues to the top floor which forms a striking crest to this small urban development.